A practicing psychiatrist, who is the president and CEO of a San Luis Obispo psychiatric practice, has for the second time been placed on probation by the California Medical Board after one of his patients committed suicide. 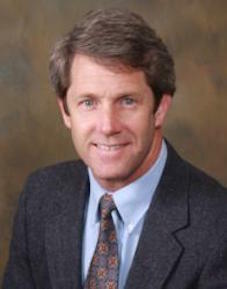 Murphy has also served as a clinical and legal consultant to PG&E and Diablo Canyon, as well as the juvenile division of San Luis Obispo County Superior Court, according to Pacific Psychiatry’s website. Since establishing his SLO County practice, Murphy has been accused of negligently handling two patients who ultimately committed suicide. Likewise, Murphy has been accused of romantically pursuing a female patient who had a host of psychological conditions. Murphy began seeing the female patient in early 2001, according to medical board records. The patient informed Murphy she just wanted to see him every two to three months in order to obtain medication for sleeping and for a panic disorder. But, Murphy scheduled monthly therapy appointments with her, then increased the visits to four or five times a week. The visitations lasted until June 2003, when the woman informed Murphy she wished to end therapy. Murphy refused to end the therapy sessions, again increasing their frequency. The psychiatrist then became overly involved in the patient’s life, meeting her at Morro Rock, on Chalk Mountain and taking her to church. Murphy bought the woman gifts, including religious tapes, music CDs and homemade cassette recordings. He would play guitar for her during therapy sessions and call her at home in the early morning and in the evenings. Murphy also sent her sometimes lengthy emails on a nearly daily basis. The female patient repeatedly attempted to end her therapy sessions with Murphy and wrote six email requests that he stop contacting her. But Murphy persisted, saying he would never go away. In Sept. 2003, he enticed the woman to go with him to Chalk Mountain, where he told her he missed her, gave her a hug and kissed her on the cheek. A couple months later, they stopped seeing each other. Around the same time, a teenage patient of Murphy’s committed suicide. In late 2002, Murphy began seeing a then nearly 17-year-old boy after the teen attempted suicide and survived, according to medical board records. Over months that followed, Murphy altered the teen’s diagnoses and weaned him off some medication he was taking. Murphy then changed the boy’s diagnosis again and put him on different medication. In Sept. 2003, the boy’s father called and said his son was again suicidal. Even though it was recommended the boy be seen by a psychiatrist immediately, no appointment was scheduled, and days later, the teen killed himself. A complaint was filed against Murphy over the cases of the female patient and the teenage boy, and in 2007, the psychiatrist was ordered to serve five years of probation. Murphy completed the probation term, according to the medical board. This September, Murphy was placed on a fresh term of three years probation after one of his patients, a 65-year-old man, committed suicide. Over the five months prior to the patient’s death, Murphy did not see him, even though he was prescribing the patient five psychiatric medications. Murphy was scheduled to see the patient the month after the man killed himself. The standard of care requires a patient who is taking five psychiatric medications with changes in medication to return for a followup sooner than the six-month time frame Murphy gave the patient, according to the medical board. The medical board complaint also says Murphy failed to state a rationale for changes in medication prescribed to the man and failed to maintain adequate and accurate medical records. Murphy’s latest probation term took effect in October. While on probation, Murphy can continue practicing medicine, but he must comply with various conditions that include taking medical courses and submitting to monitoring. Does somebody like this have to have 3 strikes before being ruled out? Incredible that after 2 he can get a second shorter probation after making clear he’s apparently incapable of being a responsible shrink. any medical issue before someone gets really hurt. Trust me, I know who and what this man is. I know him personally. He has his own psychological issues in my opinion. He is dangerous and incompetent also in my opinion. Check him out for yourself. Multiple online complaints nevermind medical board complaints. Stay clear of this man. Go to another county if you need help. At least you will probably be alive. He absolutely should have his license permanently revoked. I have been seeing Dr. Murphy for the last twelve years for panic attack disorder. I have found him to be very professional and conscientious. If psychiatrists were held responsible for the suicide of their patients there would be no psychiatrists. Do we hold firefighters responsible for houses that burn down before they arrive? It’s the nature of the business. There is no mention in your above story of the suicides Dr. Murphy has prevented. What a pathetic hit piece on doctor we sorely need on the Central Coast. We certainly have our share of nuts. How do you prove he prevented suicides? Just curious about the reasoning. How do you prove he didn’t prevent suicide? How do you prove anything when your last name is 2? If you people can’t use your given name, as far as I’m concerned your comments are moot. What a predator and socio-path behaves like. He needs his license suspended…and therapy. He should loose his license to practice. PERIOD…..
WHY does he still have a license?